Conventionally, only two strategies exist for urban water utilities to increase water supplies on a municipal scale: stormwater reuse and wastewater reuse. As separate processes that require separate infrastructure, piping costs, and specific land-use requirements, most utilities invest in one process over the other. However, as drier parts of the world teeter on the brink of water scarcity, informed and cost-effective water supply investments by these utilities are critical. This includes the consideration of hybrid stormwater–wastewater reuse systems. For financial and regulatory reasons, most urban water utilities that want to replenish their groundwater supplies choose between stormwater reuse or wastewater reuse. A new computational planning tool, called AquaCharge, informs decision-making and promotes the possibility of cost-effective, hybridized approaches to water supply augmentation. Robert Lawton/Creative Commons. A new comparison tool called AquaCharge lets local water managers weigh the site-specific tradeoffs that implementing stormwater or wastewater reuse schemes would bring to their aquifers. With AquaCharge, utilities can understand which strategy makes the most sense for their region, or the extent to which they could implement both strategies to meet the needs of their customers without breaking the bank. Stanford University (Calif.) civil engineering professor Richard Luthy and PhD student Jon Bradshaw worked together to develop the tool. They say AquaCharge was inspired by reuse leaders like Orange County, Calif., which turns both stormwater and wastewater reuse into a streamlined, hybridized system. In Orange County, utilities clean wastewater to potable quality before pumping it into large stormwater spreading basins, which also capture precipitation. Both stormwater and treated wastewater slowly percolate from the spreading basin and eventually recharge underground aquifers. Water managers face excessive costs when considering water replenishment options. 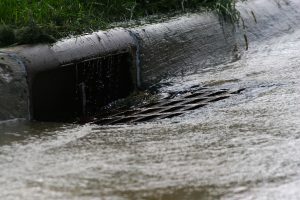 The stormwater reuse route requires large swaths of land for spreading basins, which remain idle during the dry season — not all districts have access to land to spare in this way, according to s Stanford University press release. Likewise, while advancements in treatment technology enable modern utilities to purify wastewater to suitable quality for agriculture or industry, state and federal regulations in many cases require utilities to invest in separate piping systems for recycled water. AquaCharge helps utilities think unconventionally by incorporating such factors as land availability, stormwater supplies, existing treatment capabilities, and potential pumping costs into its recommendations. For AquaCharge, Bradshaw received the Overall Best Student Innovation award at the 2017 Engineers Innovation Contest held by the American Society of Civil Engineers (Reston, Va.). The tool also earned awards for Most Efficient in the green engineering category and Best Value in the resiliency category.